Hi fashionistas! Giza here with the latest in NYFW style and trends. I’ve been scoping out the scene in Manhattan for the past week. Obviously, all of the S/S ’15 styles are stunning, but I’ve spotted a few trends that are sure to be pretty huge this upcoming season. I’ve got all of the details for you in this week’s NYFW Recap. 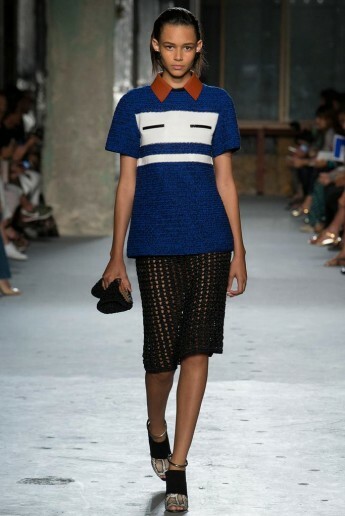 My favorite would have to be this netting trend. 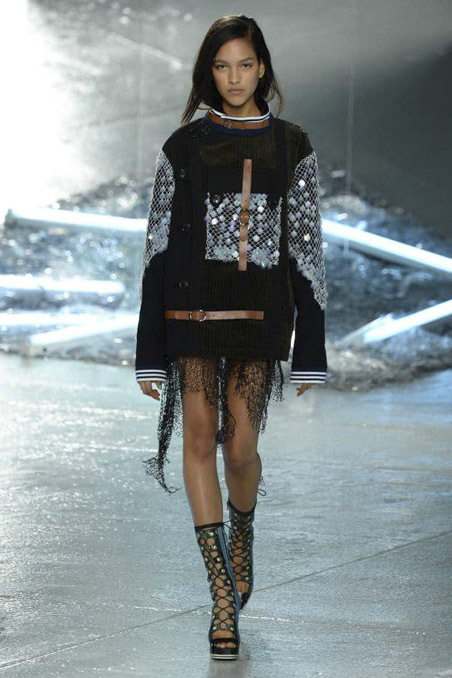 Rodarte killed it with their net dresses and skirts; but they definitely weren’t the only ones thinking netting this season! 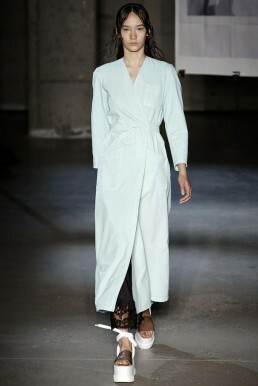 Another trend that I have always been a fan of are the trenches and menswear-esqe coats. 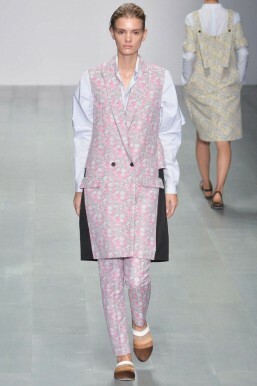 I’m a sucker for when a womenswear line adds a menswear twist. 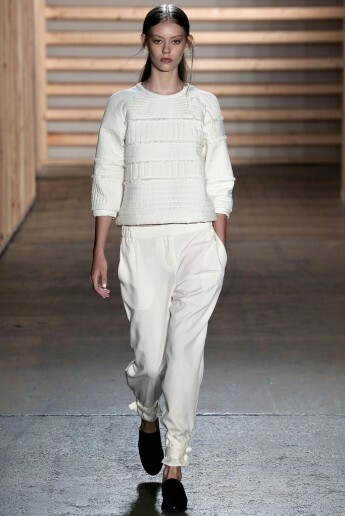 Beiges and neutrals were totally in for this season. I don’t often venture into the bold world of color so this was right up my alley. 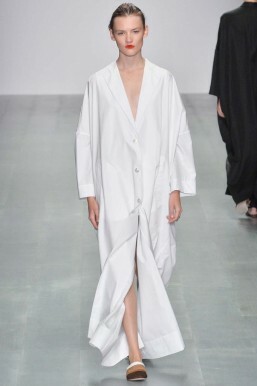 A style that I am familiar with popped up quite a bit on the runway, the culotte. 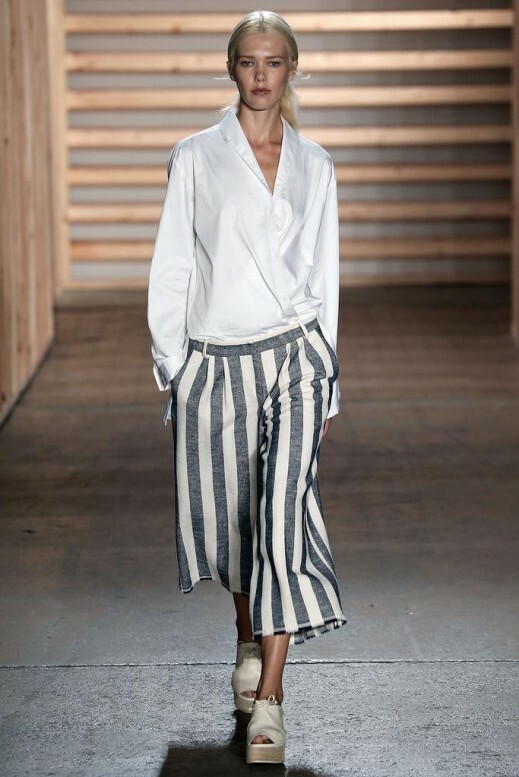 Culottes are pretty much under the knee, usually flowy, shorts that might look like a skirt from afar. There were some designers that executed it in a very modern way. Patterned prints were a must for designers. This season without fail, bold patterns were a big statement. 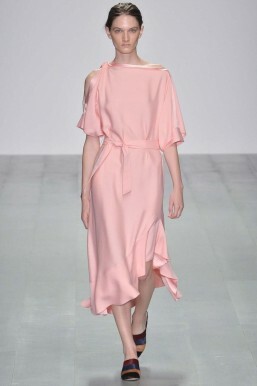 When you think of spring pastels tend to come to mind, and without a doubt- pastels were all over the runway. I believe that Elizabeth and James did it best! 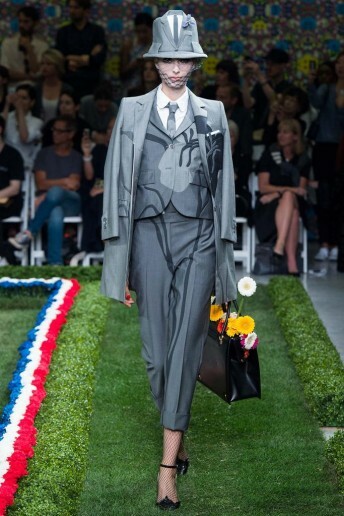 Again, I’m a sucker for a menswear twist. I loved it when trousers made repeat appearances! I’m all for a good pair of heels but when I saw that flats and “flatforms” (which I have a love-hate relationship with) were everywhere, a part of me exploded with happiness. Check out how Coach and MM6 Maison Martin Margiela did flatforms, not bad! When done right ruffles, frills, and pleats can drive a girl wild. 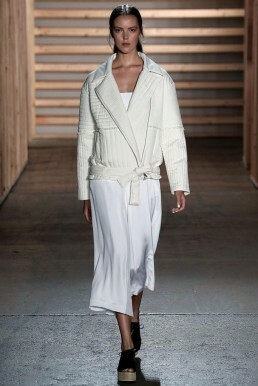 Juan Carlos Obando did it so well! 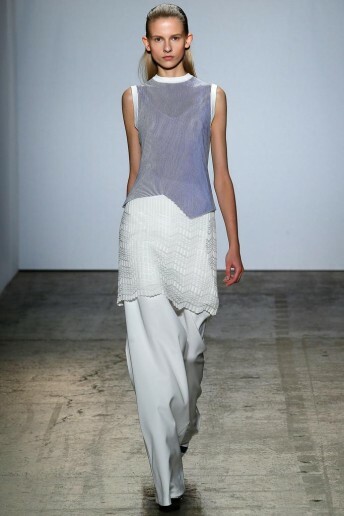 I love pushing boundaries; so when I saw how Jason Wu used sheers, I got pretty inspired! Check it out for yourself but be careful how you do it. It takes some finesse for sure. Last but not least, flawy fabrics were pretty major. I have to admit that when I wear anything even the slightest bit flowy I immediately feel majestic and mythical. 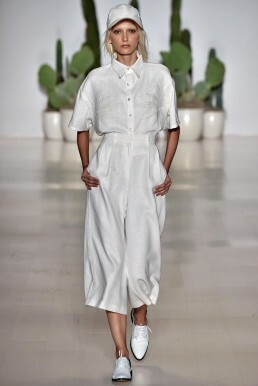 I would wear Juan Carlos Obando’s flowy look every chance I get! Stay tuned for Part 2 later this week! I’ll be covering all of the most coveted NYFW street style trends- including my own! 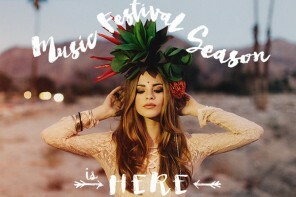 All photos in this post were taken from Style.com. 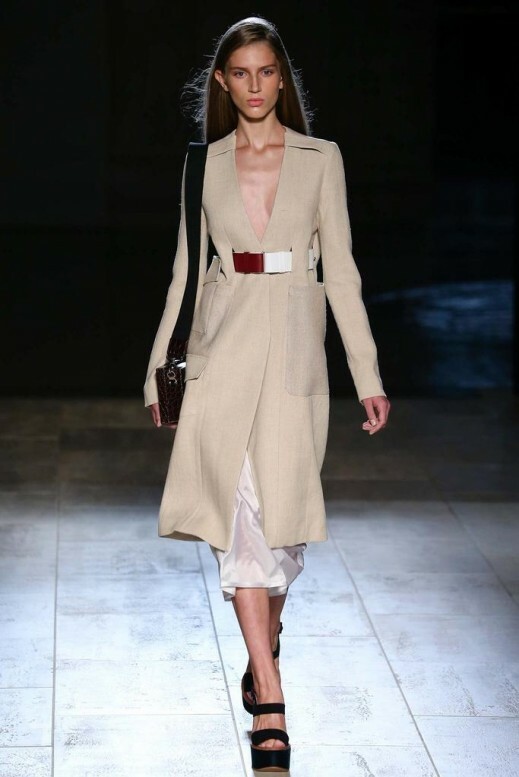 Take a look at their site for all of your runway news.